Driving the all-electric Nissan LEAF means never having to buy gas. Now, thanks to the new "No Charge to Charge" program, offered by Nissan and NRG eVgo, new buyers and lessees of the all-electric Nissan LEAF in the Dallas-Fort Worth and greater Houston areas will have unlimited access to the eVgo network for public charging stations for their first year of ownership at no cost. Beginning in October, customers who lease or purchase a new Nissan LEAF in the Dallas-Fort Worth and Houston markets will receive one year of complimentary access to eVgo's comprehensive Freedom Station (R) charging network, including 23 locations in the Dallas-Fort Worth metroplex and 17 in the greater Houston area. Also, included as part of the eVgo network, is charging at Park N' Fly locations at DFW and IAH airports. 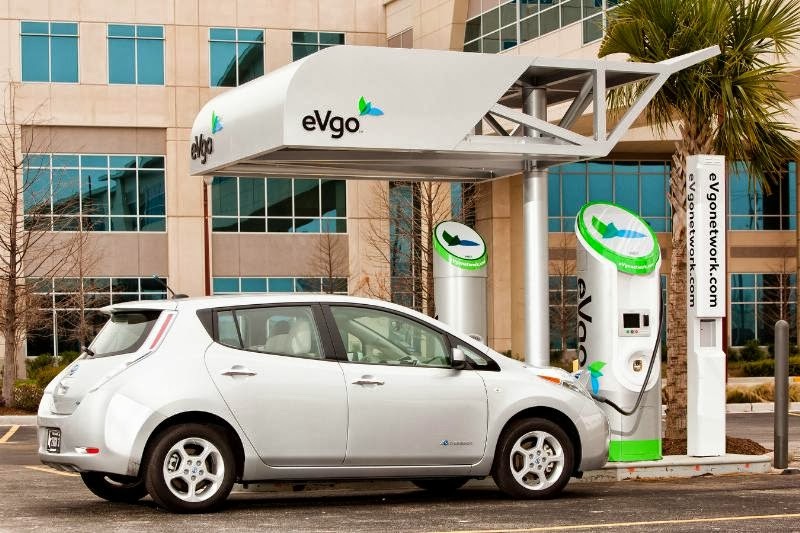 "NRG eVgo has created a comprehensive suite of electric vehicle charging products to support the growing number of EVs and to address EV drivers' need to charge both at home as well as on the road," said Jack Cannata, director of marketing for NRG eVgo. "With access to our well-placed charging stations across the Dallas-Fort Worth and Houston metro areas, Nissan LEAF drivers can really maximize their use of the vehicle." eVgo Freedom Station sites, conveniently located along major roadways, offer electric car drivers DC fast charging and Level 2 charging. DC fast chargers can deliver up to an 80% charge in less than 30 minutes. Level 2 chargers deliver range at a rate of 12 -- 25 miles per hour. Most sites are available 24/7 and are positioned near retail stores as well as restaurants to provide the option to shop or eat while charging.